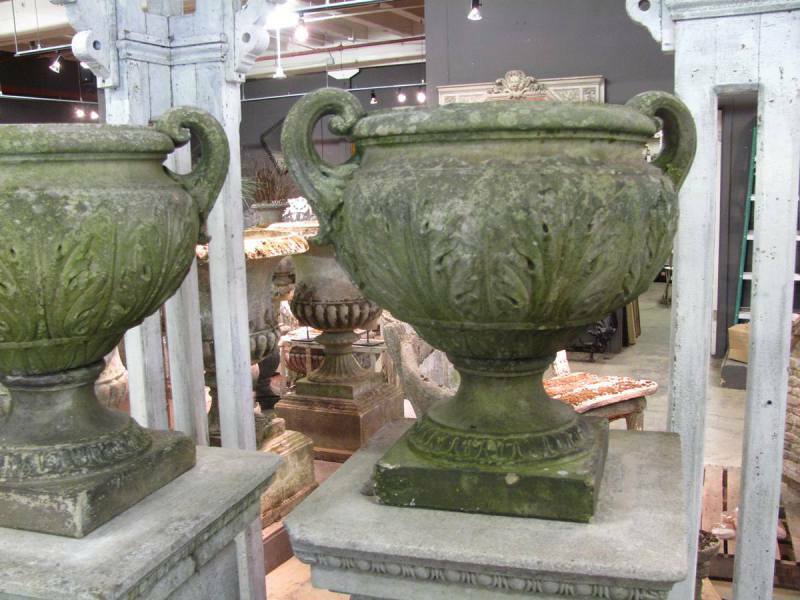 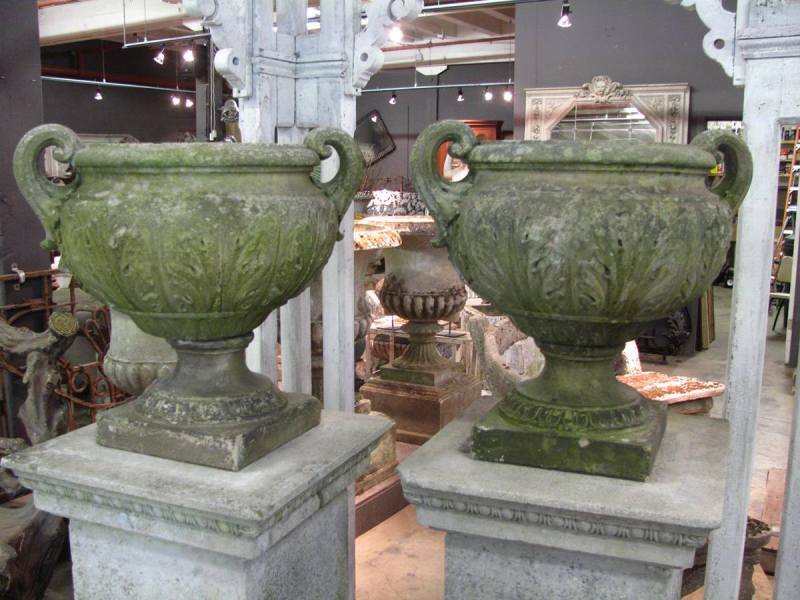 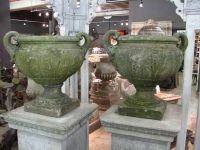 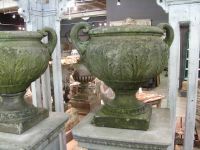 Pair of mid-19th century terracoatta urns with acanthus leaf molded bodies, foliate handles and impressed stamp "Pulham�s Broxbourne". 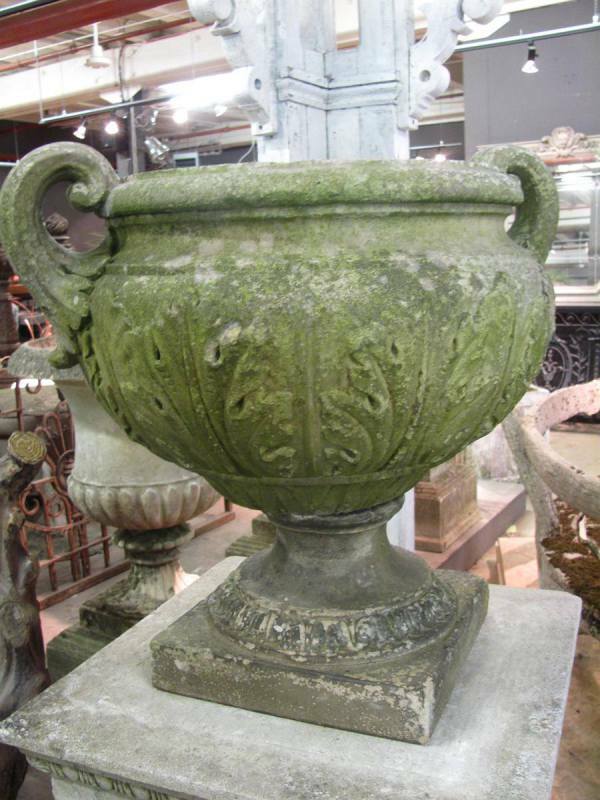 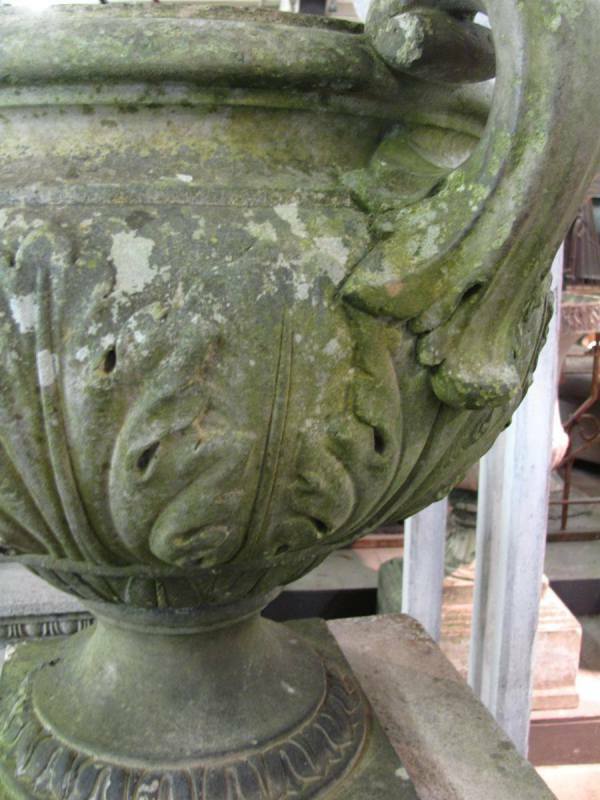 Established in 1820 the terracotta firm of James Pulham began making garden ornament in 1846, moving to Broxbourne in 1860. 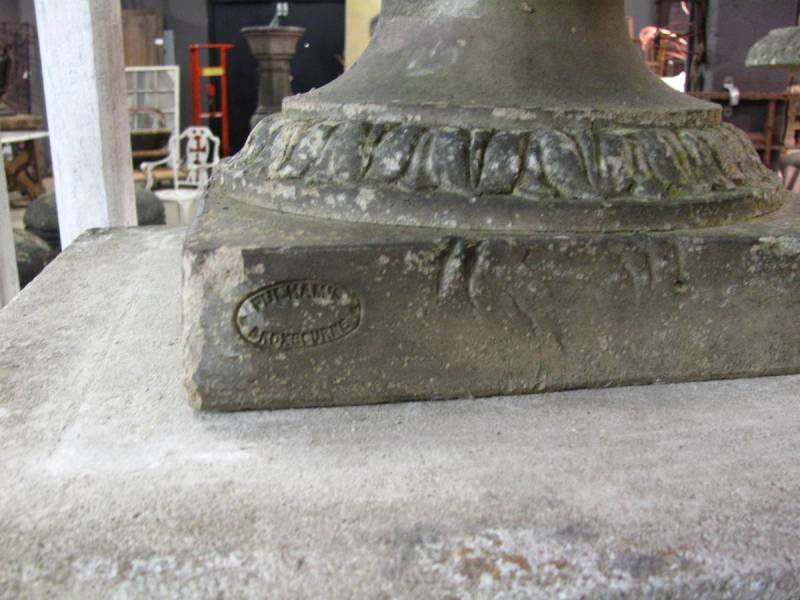 In 1865 his son, James Pulham III, joined the firm which then became Pulham and Son. 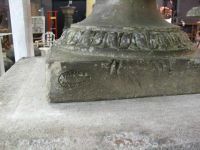 The firm always maintained a fairly small staff and promoted its attention to quality and the durability of its wares.